During renovations we filled in an unnecessary doorway to make the fridge accessible, shed a big steel hood thing and dissected and reorganized all other cabinets in the new design. 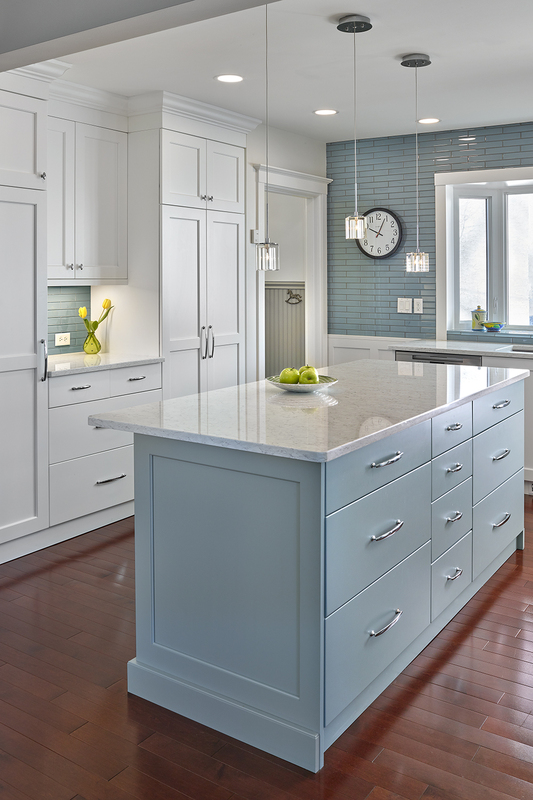 Timeless white shaker cabinets set the tone in the kitchen while the island painted in Benjamin Moore Mount Saint Anne is a soft addition of colour. 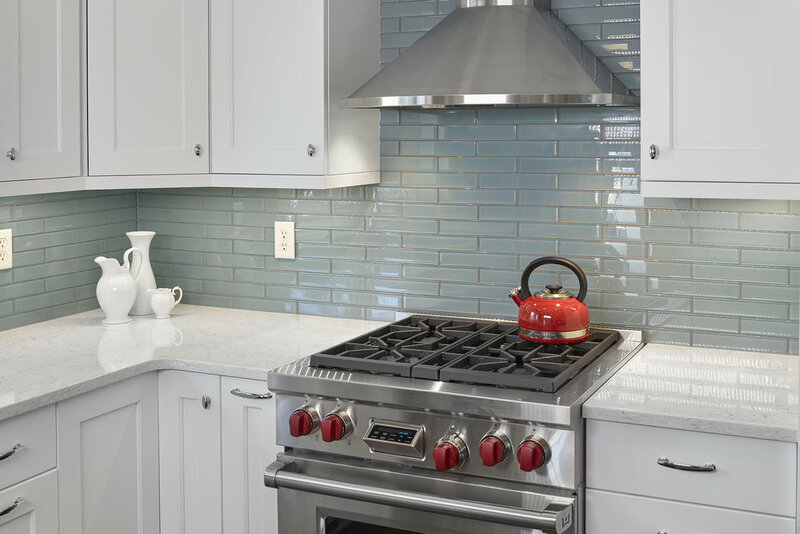 To tie the look together, blue gray glass subway tile was used as a backsplash. Our clients kept their existing flooring and pendant lights to create this wonderfully functional kitchen featuring roll out shelves in the pantry, internal pot lid storage, a pull out refuse bin, functional super susan in the corner cabinet as well as tray dividers, a drawer knife insert, drawer dividers and cutlery tray. Through design we were able to incorporate a central vac hose holder in the broom cabinet. The client has never been able to store the hose on the main floor and says it's her favorite thing! We are so pleased to be able to include functional customization in this Crestwood renovation that makes our client happy!